Rewards credit cards can be used on an everyday basis and are a great way to earn money back on what you already spend. 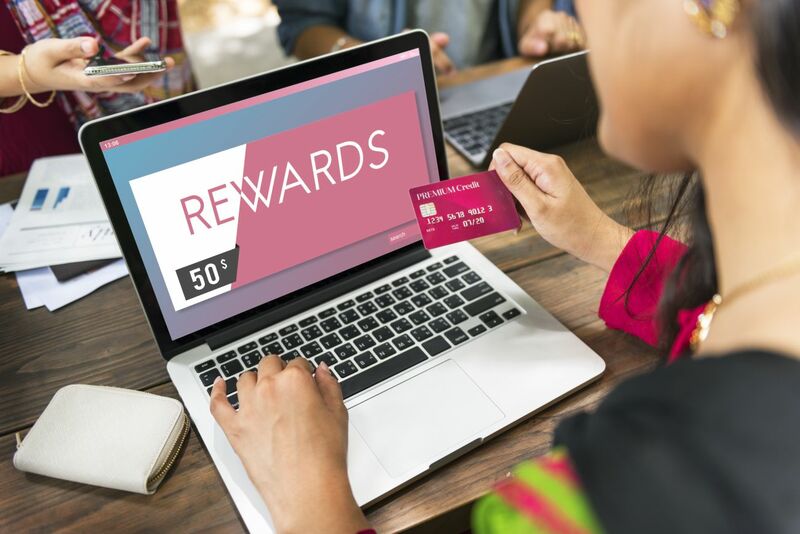 There are a number of types of rewards offered by credit card companies, including cashback, reward points, and travel miles. In order to get a card that offers generous rewards, you usually need to have a credit score in the good to excellent range. People with scores below 690 will struggle to qualify for cards that offer top-tier benefits. However, if you do qualify for these cards, you can also benefit from the relatively low interest rates and no annual fees that come along with them. Here are five of the best reward credits cards out there. The Chase Sapphire Preferred Card is great for people who love to travel. Unlike many travel reward cards, this one isn’t affiliated with an airline or hotel company, and you can spend your rewards in a number of ways. Cardholders earn 1 point per dollar on general purchases. Dining and travel expenses will earn you 2 points per dollar. Points are worth one cent and can be redeemed for cashback or a statement credit. If you use your points to book travel via the Chase Ultimate Rewards program, you can get a bonus of 25%, so the reward rate will increase to 1.25% or 2.5%. Another perk of this card is the massive bonus they offer for opening an account. Spend $4,000 within the first three months, and you’ll get 50,000 extra points added on. If you redeem those points through Chase Ultimate Rewards, you’ll have $625 to spend on airfare, hotel costs, and other travel expenses. The card does have an annual fee of $95, but it’s waived the first year. There are no foreign transaction fees, and it has a variable APR of 16.24%-23.24%. The Capital One Quicksilver card offers some of the best cashback overall cashback rewards available. With every dollar you spend, you earn 1.5% in cash. The rewards are the same for all purchases, so there are no special categories to worry about. Although the Chase Sapphire Preferred card may offer a slightly better rate, this card is a better option for people who don’t travel much or would rather redeem their points for a statement credit. Like the Chase Sapphire Preferred card, this one comes with a sign-up bonus, although it’s not quite as impressive. If you spend $500 within three months of opening an account, you’ll earn $100 in rewards. It might not seem like much, but it’s an easy goal to achieve even if you’re not a big spender. Plus, there’s no annual fee with this card, and there’s 0% APR on purchases and balance transfers for the first nine months. There’s a 13.24% – 23.24% variable APR after that. This card offers one of the highest percentages of rewards of any on this list. Cardholders earn 1% cash back when they make a purchase and 1% back, which means you earn 2% in rewards in total. Rewards can be earned on every dollar you spend, regardless of the category, and the amount you can earn is unlimited. You can start redeeming your rewards once you’ve accumulated $25. The money can be applied toward statement credit, a gift card, or a check. The downside of this card is that it doesn’t offer any kind of sign-up bonus, so it may seem unappealing when compared to some of the others. When considering long-term usage, however, it will give you good returns, and it offer flexibility in the way you redeem your cashback. There’s an 18-month introductory period of 0% APR on balance transfers, which makes this one of the best rewards cards if you’re planning on carrying a balance. There’s an ongoing 13.24% – 23.24% variable APR on purchases. If you spend the maximum of $1,500 each quarter, you can earn $300 in rewards over the course of the year. The downside of using this card is that you have to keep track of which categories are active during which quarter, and you’ll need to remember to activate your account online in order to be eligible for the 5% rewards. However, you probably spend money on things like groceries and gas anyway, so it’s not difficult to earn rewards. When you sign up for this card, you’ll be able to take advantage of the 15-month introductory period of 0% APR. The card offers a bonus of $150 if you spend $500 on purchases within the first three months. In addition, your account gives you access to the Chase Ultimate Rewards program, which can give you up to 10% off on purchases you make with your cashback rewards. There’s no annual fee. The reward level is quite generous, and it’s definitely worth it to get this card if you make a lot of purchases on Amazon.com. In addition, Discover offers the Cashback Match program to new cardholders. At the end of your first year, they’ll automatically match the cashback you earned. If you accumulated $100 in rewards, they’ll give you another $100. The main downside of using this card is that you have to remember what categories are active each quarter. It only offers 1% on general purchases, which isn’t as good as the Citi Double Cash card. However, the Discover It card has no annual fee, and they give cardholders free access to their FICO score. You’ll get an 14-month introductory period of 0% APR on purchases and balance transfers. The variable APR is 11.24% – 23.24% after that.